Your BAKE-TO-ORDER online bakery. By appointment only. 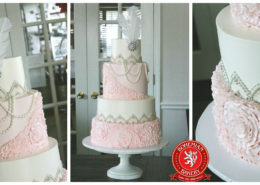 We specialize in European style fine custom wedding cakes in Atlanta, GA and surrounding states. With over 15 years of professional baking experience, each cake is a work of art full of style and elegance created by our Master Pastry Chef Pavla. Bohemian Bakery offers any type, style and size of cake, from mini desserts to custom tiered and sculpted cakes. Our cakes and fillings are made from scratch using only the finest quality ingredients. 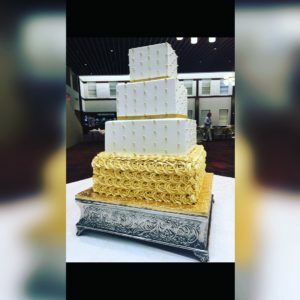 A wide variety of icings and fillings allow you to find that perfect combination for your wedding cake or any other special event. 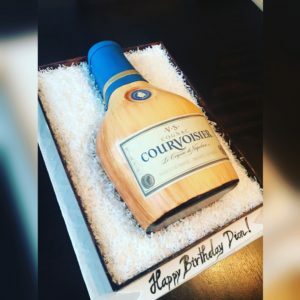 Whether it’s wedding cakes, grooms cakes, birthday cakes, Quinceanera cakes, graduation cakes, anniversary cakes, baptism cakes, baby shower cakes or an office party, we can bake it up special. Click the button and get started. See what Chef Pavla has been baking up lately. 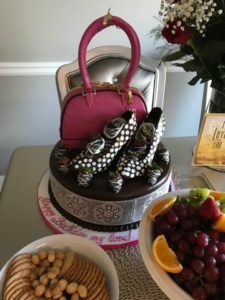 Find out the latest and greatest of what’s coming out of Pavla’s kitchen and what’s hot and what’s not in the world of cakes. Check out her latest blog now. Schedule your wedding cake tasting today. Come see why our wedding cakes are not only beautiful but also delicious. We’re conveniently located just north of Atlanta away from the hustle and bustle of downtown. 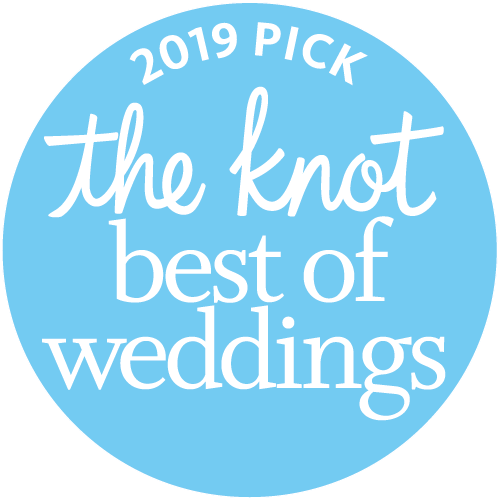 Got a Wedding Coming Up? Book Your Tasting Now. Book online a complimentary wedding cake consultation. 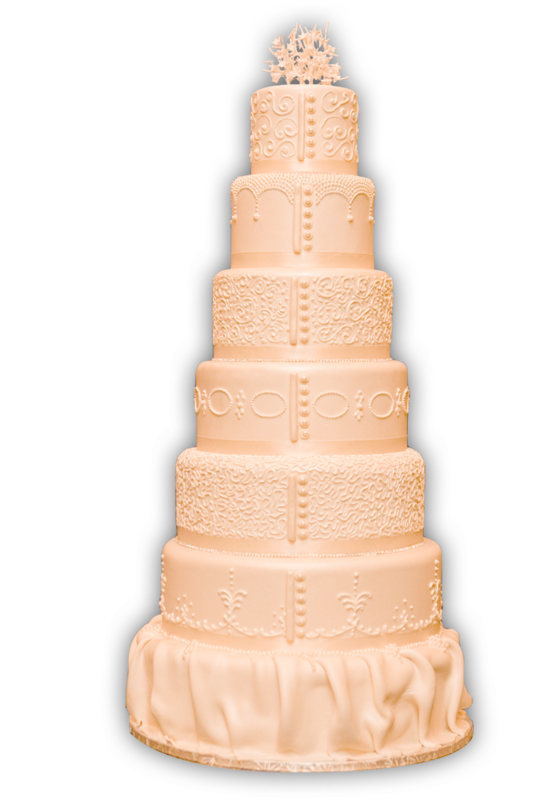 Take time to browse through our portfolio of wedding cakes while you taste sample cakes. 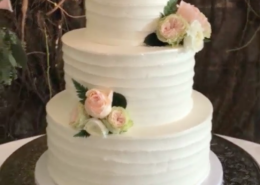 If you’re still uncertain about what you want in a wedding cake, our chef is an expert at reflecting a couple’s individual style and personality. 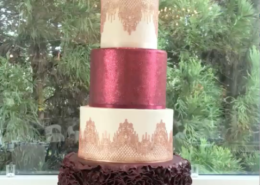 Often it is helpful to bring photos of cakes you like, fabric swatches of your bridesmaid dresses, floral photos, your imagination and anything else that might inspire. Two weeks before my daughter’s wedding, I changed caterers.. which meant I lost the cake. Someone recommended Bohemian Bakery and Chev Pavla. She arranged a tasting for me the very same afternoon. It really was God’s hands because Chef Pavla’s cake matched in price but exceeded in expectations and flavors. From a white cake with butter cream icing to a strawberry shortcake, a raspberry and white chocolate, and a Kahlua layer. Half Italian butter cream and half fondant. If you see the cosplay cake being half pink princess sparkle and half Captain America, that’s my daughter’s cake!! 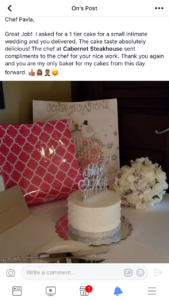 Last, her wedding was 1/7/17, the weekend they were predicting a large snow storm. 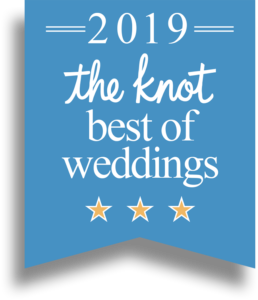 While we worried if the caterers, photographer, and DJ would make it, Chef Pavla said “I come from a country with real snow, I will be there on time.” And She Delivered On Every Promise! 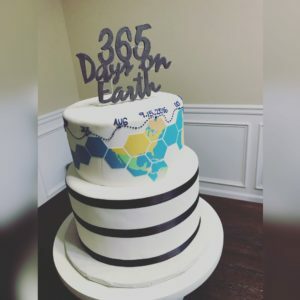 Thanks to Mrs. Pavla over at Bohemian Bakery for this delicious cake. Your customer service is unmatched. Great Job! I asked for a 1 tier cake for a small intimate wedding and your delivered. The cake taste absolutely delicious! The chef at Cabernet Steakhouse sent compliments to the chef for your nice work. Thank you again and you are my only baker for my cakes from this day forward. Thank you for an amazing finger licking delicious cake, I say thank you. Everyone enjoyed it and kept asking. Gave your details out. Cheers to more collaborations with you for any of my celebrations. OMG Pavla! The cake was Amazing! The hit of the party. Thanks soooo much. 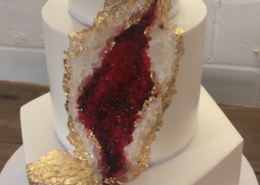 Bohemian Bakery made my wedding cake dreams come true. I had a specific vision that I wanted in terms of my wedding cake and groom’s cake and Pavla delivered in making my dreams come true fold. She was so accommodating to my vision and provided top notch expertise in terms of cake flavors and colors. The tasting was superb and she allowed my fiancé and I to try a variety of flavors. She gave suggestions as to what was the most popular and helped make our vision a reality. 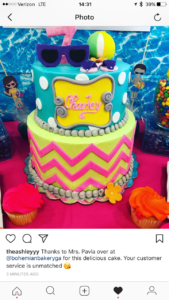 She did a fantastic job and I would recommend her for any of my bakery needs in the future! Thank you Pavla for the best cake in my life! I just wanted to say thank you so much for the outstanding job that you did. The cake was a HUGE hit… So much so that it was ALL gone. The only piece that Matt and I got was the piece we fed each other for the pics. LOL. I receive a lot of compliments about the cake! Even my DJ’s came up to me and said that the cake was “On point!” You did an amazing job! Thank you so much! Bohemian Bakery is truly the best. 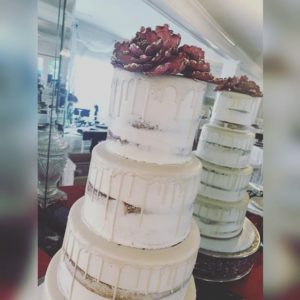 We had an appointment with other bakery a few days after Bohemian Bakery and after we met with Chef Pavla and tried her cakes I knew I had to cancel the other appointment. I knew I wanted to go with Chef Pavla’s cakes. She made free samplesof the most popular flavors and the cake flavor I wanted for my wedding cake. The cake was amazing. Price was very affordable. Chef Pavla can really turn magical cake dreams into sweet reality. From now on, whenever we will need a cake I will definitely choose Bohemian Bakery. Chef Pavla makes without a doubt the best tasting and most beautiful cake you will come across. 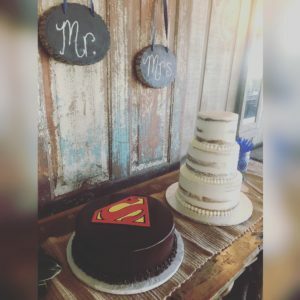 I am not one to write reviews, but I felt that it was really necessary to do so…because the Wedding Cake and Groom’s were that fantastic. 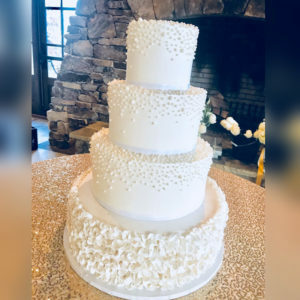 I have had numerous guests (and vendors) say that was the best wedding cake they have ever tasted, and I have to agree! I promise that you will love a wedding cake or groom’s cake from Bohemian Bakery and not be disappointed!